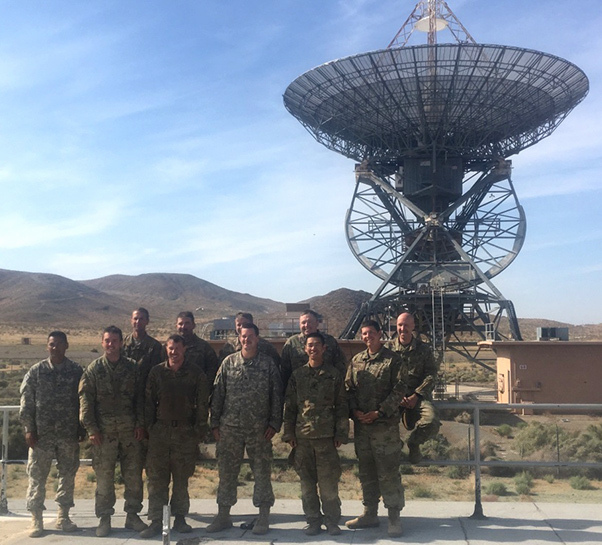 The newly formed Cyber Electromagnetic Activities section of 2nd Armored Brigade Combat Team, 1st Infantry Division, poses for a photo during decisive action rotation 17-06 at the National Training Center on Fort Irwin, Calif., in May. The section was comprised of electronic warfare noncommissioned officers from multiple battalions within “Dagger” brigade. During their recent rotation at the National Training Center at Fort Irwin, California, 2nd Armored Brigade Combat Team, 1st Infantry Division, consolidated their cyber electromagnetic activities’ (CEMA) electronic warfare (EW) Soldiers into a front-line force that engaged the opposition on a less-traditional battlefield. EW Soldiers locate enemy transmissions on the electromagnetic spectrum and use what they find to determine, among other things, the location of the enemy. The role that Connolly and his Soldiers played at NTC in April and May was a new opportunity for them, he said. Traditionally electronic warfare personnel have been designated to battalion and brigade operations shops as planners, rather than hands-on professionals on the front lines. However, 2nd ABCT embraced the changing role of electronic warfare. 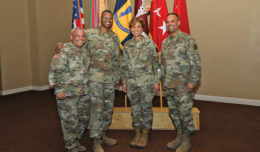 By building on what other units have been doing across the Army, the Dagger brigade was able to use these personnel in concert with maneuver elements. “It’s definitely a whole new concept for the Army — putting electronic warfare specialists on the front lines — but, they actually did it way back in the 80s and in Vietnam too,” Connolly said. While previous incarnations of EW involved intercepting enemy communications, the current legacy has been building on that endeavor. In addition to simply jamming an enemy signal, modern EW Soldiers with the right equipment are capable of much more, Connolly said. 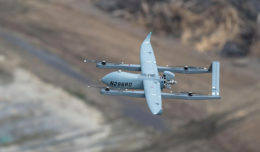 When dealing with unmanned aircraft systems, the team has a host of options that include downing the aircraft, or even requiring it to return to a designated landing area. Taking away a large part of the OPFOR’s surveillance made for fewer battalion and brigade jumps, saving time and energy throughout the unit. “Once we intercept it, we figure out if it allowed for jamming or not,” Connolly said. Following the intercept and determination, the rest of the training became notional as the EW teams didn’t want to potentially destroy the expensive UAS systems. The teams found themselves capable of stopping additional threats and hampering the OPFOR on the ground as well. “It’s not just UAS; we found a few observation points we called for fire on,” Connolly said. Having been spread across the brigade up until the rotation, there were some tactical hiccups within the teams that required some effort before cohesion was built, according to Connolly. However, by the end of the rotation, EW Soldiers from multiple battalions were working together as one solidified asset. EW Soldiers who work closely with planning operations to provide support also saw the benefit of having teams in the field. Communication between the spectrum manager and the EW teams helped expedite the process of elimination when attempting to detect enemy threats. Ultimately the EW consolidation proved fruitful for Dagger brigade, which has decided to keep EW Soldiers from across the formation consolidated. Staying consolidated will also have benefits to the EW Soldiers with both their tactical and technical skills as well as their careers, Connolly said. 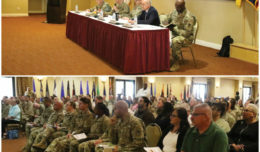 Looking forward, members of the newly consolidated EW teams are planning to further prove themselves during Dagger brigade’s upcoming Europe rotation and capitalize on their success at NTC.